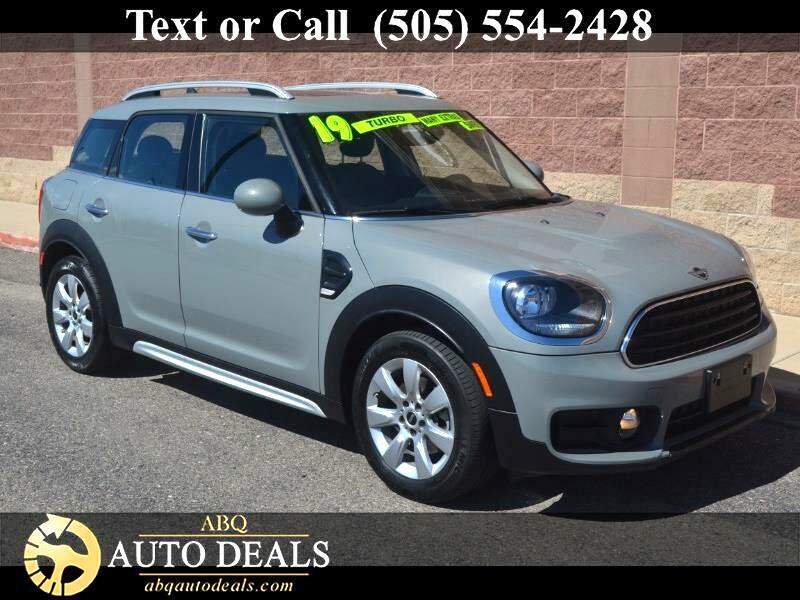 Our One Owner, Accident Free 2019 MINI Cooper Countryman is a standout in Moonwalk Gray! Powered by a Turbocharged 1.5 Liter 3 Cylinder that generates 134hp with a responsive 6 Speed Steptronic Automatic transmission. Embrace the legendary Front Wheel Drive performance that is synonymous with MINI while also enjoying near 35mpg on the open road. Our Countryman boasts sleek sophistication with alloy wheels, fog lamps, and a sculpted body with roof rails and a dual-pane sunroof that turns heads. Open the door to find space for five along with distinct British craftsmanship. Keyless entry, a leather-wrapped steering wheel with mounted controls, and heated leatherette-trimmed front seats make each trip feel like a joyride. Thanks to the MINI Connected interface, you can stay seamlessly connected and entertained with Bluetooth and an impressive sound system. Safety is a priority and you can rest assured that your Countryman is well-equipped with a rear view camera, anti-lock brakes, stability/traction control, and a multitude of airbags. With all the style, space, and security you desire, this is a fantastic choice! Print this page and call us Now... We Know You Will Enjoy Your Test Drive Towards Ownership! Your buying experience with ABQ Auto Deals is our number one priority.